… Thanks to Trump’s Stupid Golf Games!!! 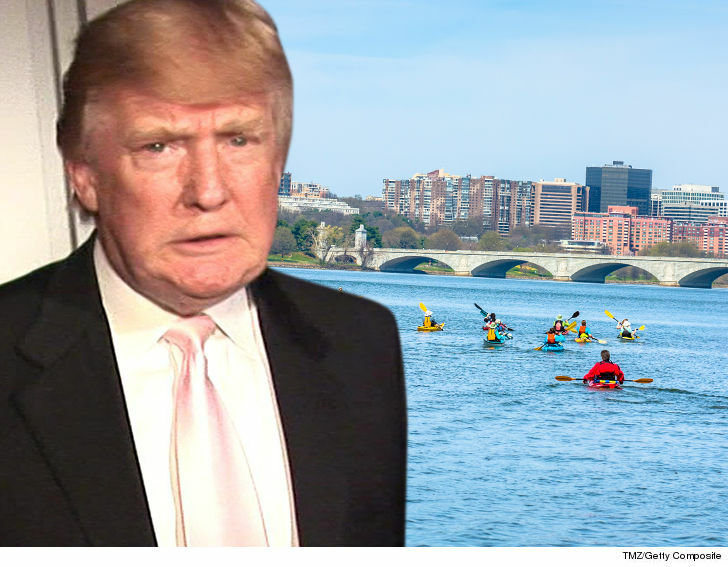 President Trump‘s pissed off a bunch of canoers who say in a new lawsuit his excessive golfing’s gotten them banned from the Potomac River. The Canoe Cruisers Association of Greater Washington sued Trump’s Homeland Security Secretary Kirstjen Nielsen and the Coast Guard claiming an Administration rule prohibits canoers from accessing 2 miles of the Potomac River near Trump National Golf Club in Sterling, Virginia. In docs, the canoers claim the Coast Guard and DHS initially had temporarily imposed restrictions but have created a “permanent security zone” in June 2017, and they’ve been turned away at least 32 times. The Association claims DHS promised it would address the gripes but went radio silent. As we first reported, Trump’s playtime on the green has cost taxpayers at least $300k in golf cart rentals alone for his Secret Service.